Unlike most of my fellow bloggers, I did not create any gift guide this year. I did not think there was anything new I could bring to the table. 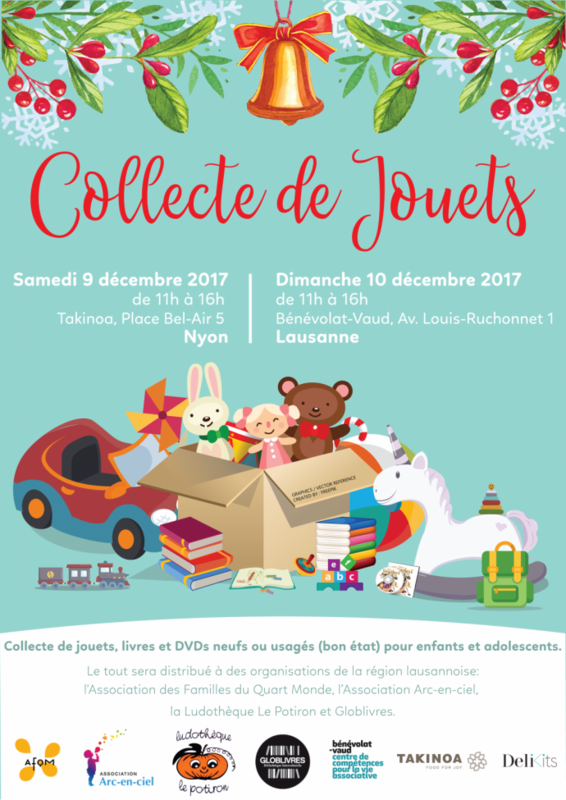 But then I participated at a charity toy collection organized by Marion Schnyder during DeliKits event in Nyon and got a marvelous idea. What if I put together a list Swiss charitable organizations that would benefit from your donations? As Tesco advertisement says:”Every little helps,” I too believe that we can all make a difference. Even if you donate few francs. This list was put together with a kind help of Marion and my friend Muthoni. You can follow Marion on Facebook: Marion Scy or Instagram @schnydma). Some of the charities are local and small, others are more known. Some of you may wonder why I did not mention other, more known charitable associations. I wanted to give space to those who need your support the most. Arc-en-ciel: An association that supports families affected by HIV/AIDS. They offer free meals to its members every day, help them in their administrative tasks and organize different social activities such as summer camps for children. Cette association soutient des familles touchées par le virus VIH/SIDA. Elle offre des repas gratuits à ses membres tous les jours, les aide dans leurs tâches administratives et organise différentes activités sociales telles que des camps de vacances pour les enfants. Association des Familles du Quart Monde (AFQM): Families in difficulty of the area of western Lausanne will find the help they need with the AFQM. This association does not provide any financial support to its members but offers them community activities such as guided tours in museums, basic business classes and administrative support. Les familles en difficulté de l’Ouest lausannois trouveront l’aide requise auprès de l’AFQM. Cette association ne fournit pas de soutien financier à ses membres mais leur propose des activités communautaires telles que des visites guidées de musées, des cours de base de business et une aide administrative. La Ludothèque Le Potiron: A public toy library based in Renens that offers more than 500 games and toys to its members. It is open three times a week thanks to a dozen voluntary workers. Cette ludothèque est basée à Renens et propose plus de 500 jeux et jouets à ses membres. Elle est ouverte trois fois par semaine grâce à une dizaine de personnes bénévoles. Globlivres: It is a public library specialized in foreign-language books. More than 30’000 books in 280 languages are available to its readers. It also offers French conversation workshops for adults three times a week. Cette bibliothèque est spécialisée dans les livres en langues étrangères. Elle tient à disposition de ses lecteurs plus de 30’000 livres dans 280 langues. Elle propose également des ateliers de conversation en français pour adultes trois fois par semaine. La Croix-Rouge Suisse (Swiss Red Cross): local Red Cross organization in Geneva or Fribourg would benefit from your donations. You can find more information about each organization by canton HERE. L’Armée du Salut (Salvation Army): I like this organization because it helps those who are on the streets, who need a shelter or hot soup. Find ways how you can support L’Armée du Salut HERE. Make-A-Wish Switzerland: A non-governmental organization that grants magical wishes to seriously ill children in Switzerland. 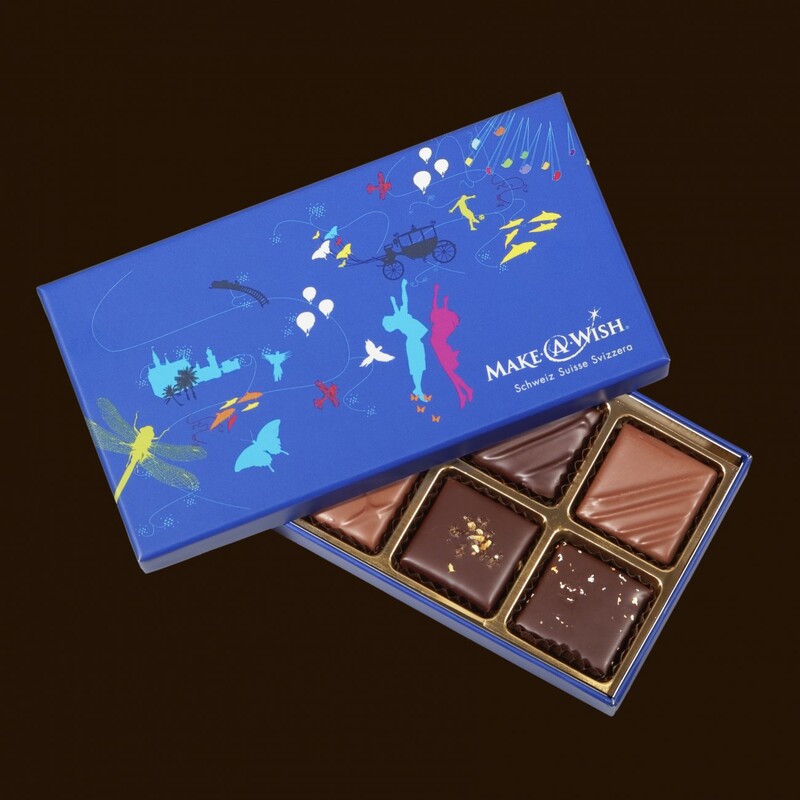 If you purchase Make-A-Wish box of chocolates from DuRhône chocolatier, 20% of that box will go towards the foundation. Available online (info@du-rhone.ch), at Geneva (Rue de la Confédération 3), Zurich (in Jelmoli) or large orders from fiona@makeawish. Loved reading this post, it’s great to read about something else than fashion ! Great job ! This is the best post, especially this time of year! 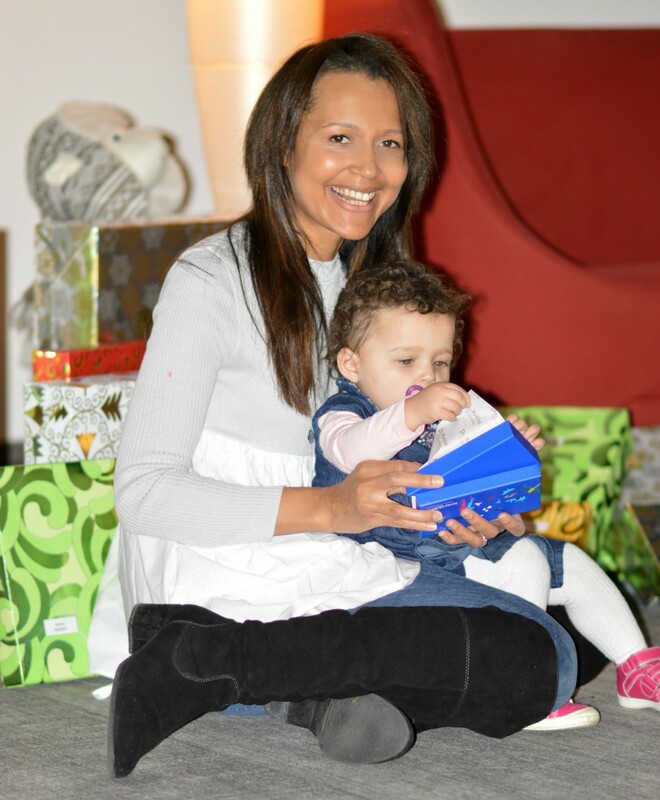 Your list reminds us what the holidays are about, gifting for others is so important! Thanks for sharing this! Thank you for sharing these! Merry Christmas! This is exactly what the holidays are about–giving back!! What a wonderful post for the holiday season! I love that you’re sharing companies and brands that you can get some really great gifts and treats from, while supporting such important causes this season. Thanks for sharing, beautiful, and I hope you’re having a great start to your week so far! Beautiful portrait and Merry Christmas to you and your family! I totally agree, Wendee. Big hugs and thank you for stopping by. This is such an inspiring post 🙂 Donation on special occasions is really a good practice, it brings peace of mind. Nice post! Have a great week ahead! These all sound like wonderful causes! Thanks for sharing. These sound like good organizations to donate too! I’ll have to look into them further. Miri, what a fabulous idea for a post rather than a gift guide! You are such a sweet, caring, and wonderful person! I wish you a beautiful Christmas and the most blessed of New Years! Thank you for yout kind words, Shelbee! Big hugs!! You are so beautiful inside and out, and your mini is just adorable! Such a wonderful and impactful gift with meaning. Thanks so much for sharing!